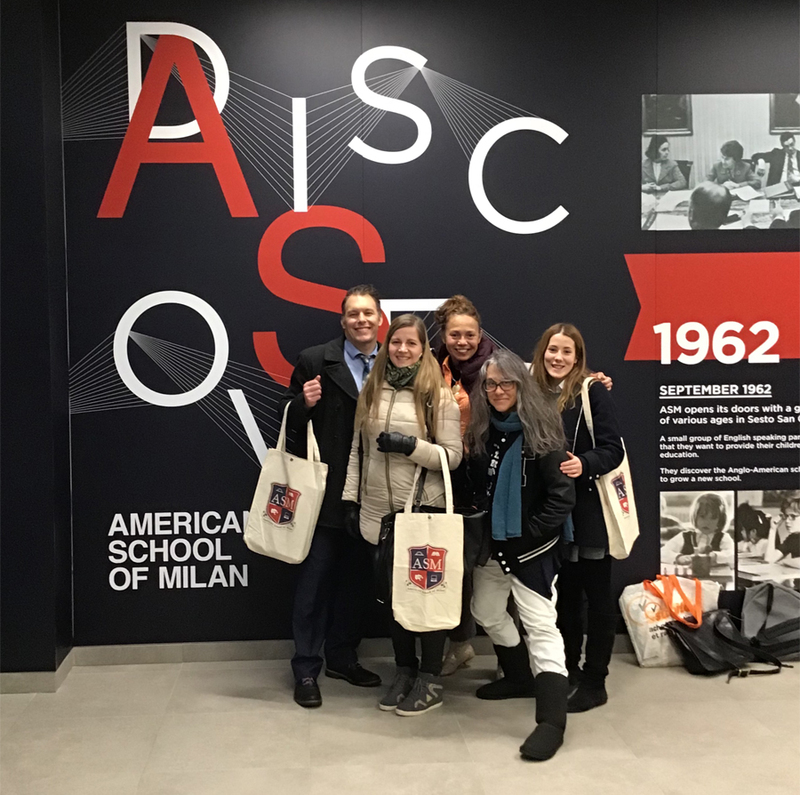 The conference in question is run by the Milan International Teacher Association (MITA) and, for the fourth straight year, was hosted by the American School of Milan. 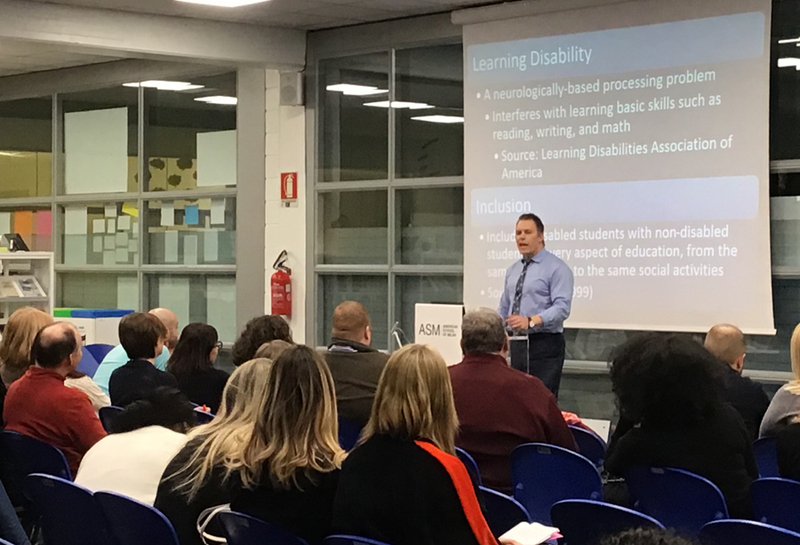 More than 100 teachers and administrators from dozens of schools in northern Italy—plus one school from Switzerland!—gathered on February 2 for a packed day of keynote addresses, workshops, and “job-alikes” (roundtable discussions by subject matter), all led by experienced educators. TASIS, which also sent a contingent to the MITA Conference in 2018, in 2017, and in 2016, was well represented this year in each area by its dedicated faculty. High School History Teacher Keith Izsa returned to MITA for the third year and delivered an interactive keynote on learning differences. He had the audience fully engaged in discovering experientially the frustrations, anxiety, and tension often felt in the classroom by students who learn differently. Mr. Izsa also led a workshop for teachers who wanted to explore this topic in more depth. A busy man, he was also called upon by conference organizers at the last moment to head up the History teachers’ job-alike! Another returning veteran of the conference was High School Theater Director Valerie B. Carlson, who connected with a colleague from another school to co-head the Arts job-alike; they have now set up a network of teachers and PYP/MYP coordinators to promote and support each others’ Arts programs. Ms. Carlson also led a workshop entitled “Drama for History and English Teachers,” which gave practical lesson plans and advice on how to approach teaching plays in non-drama courses and how to use theatrical techniques (from writing to analysis to design) to deepen students’ understanding of other subjects—something Ms. Carlson does regularly in all divisions at TASIS. 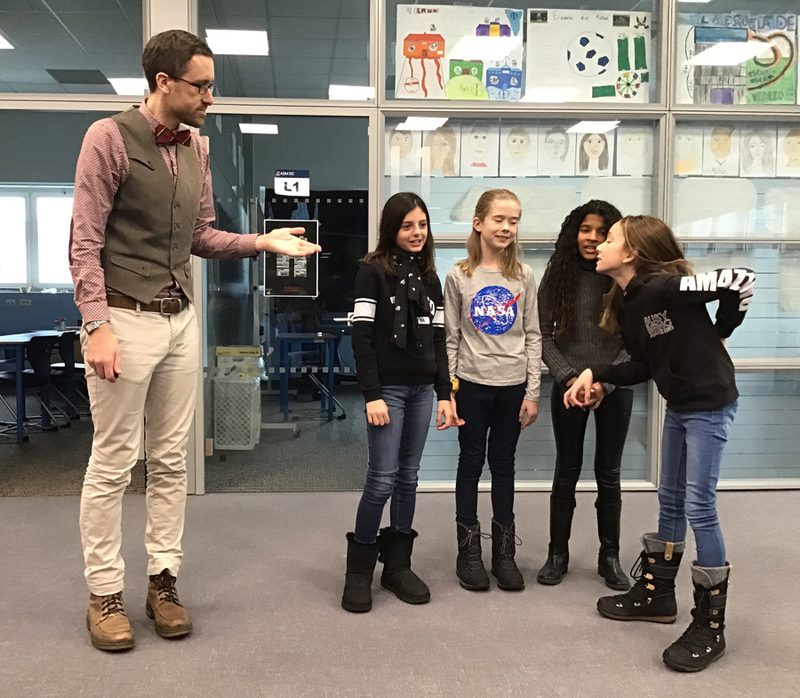 New (to TASIS) Grade Five Teacher Matthew Friday also delivered a keynote—his with the assistance of four of his students, whose parents kindly drove them in for the event. Mr. Friday’s presentation explained and demonstrated how storytelling is a tool every educator can use—and that it is a vital component of how we as humans learn. A performance, a demonstration, and a presentation in one, the ideas he spotlighted resonated throughout the day (and the young storytellers were a hit!). Mr. Friday followed up his keynote address with a practical workshop on storytelling techniques. The third MITA veteran to present was Ms. Olymar Brown, who has worked in various capacities at TASIS, most recently in the High School Science Department. 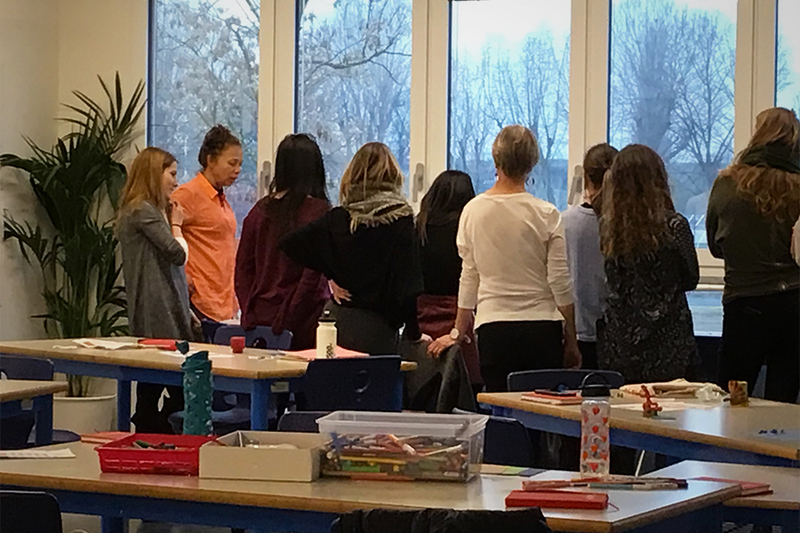 Her workshop on Art Therapy was so well-subscribed that she was asked to hold a special “flex” session during the afternoon for the teachers and administrators who were not able to get into the main session. Participants received hands-on practice and training in therapeutic uses of art in and around the classroom. The TASIS Seven agreed that the conference was well worth waking up early on a Saturday for. Its goals were to give educators a chance to connect with and learn from one another, and that goal was most definitely met; they all came away with knowledge, techniques, and inspiration to use upon their return to TASIS.